I've been waiting on this for what feels like forever, after a great run in Early Access the atmospheric racing platformer Distance is now out. A game I've gone back to many times during Early Access! Everything about Distance hits the mark for me. 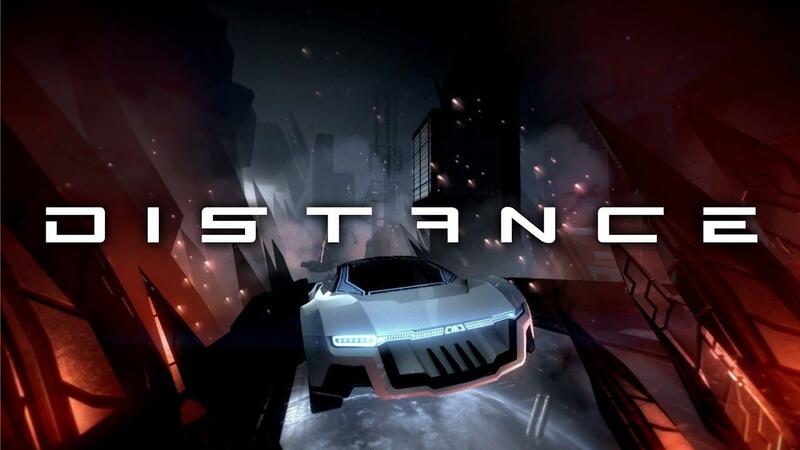 It gives a very different kind of rush to other racing games, mainly thanks to the excellent track design with some of the tricky platforming elements paired with the seriously good music. It also has the thickest atmosphere I've ever known in a racing game, especially so with the new and complete campaign which has seen a ridiculous amount of improvements to the feel and design. This is absolutely one release you don't want to miss out on. Find Distance on Humble Store and Steam. Does it have a death counter? It needs a death counter. Also, Distance is a fantastic game. My initial thought was, “A... racing... platformer? What is this madness?” But actually, that looks pretty danged awesome. Another one for the wishlist, I think. Dunc My initial thought was, “A... racing... platformer? What is this madness?” But actually, that looks pretty danged awesome. Another one for the wishlist, I think. Racing platformers have been around for a while, never heard of Trackmania or Stunts? I've played the full content last year(s) and plenty of player-made maps too, and it's really awesome. Happy to see it fully released, time to fire the engine again. I heard some people who buy it go in having expectations of it being like other racers. I don't think it is at all. It's basically neon lights racing with techno music and some really awesome challenges. I might even call it a puzzle racer however the hell that is possible I odn't know. Still, 10/10 would buy again. Anyone else having trouble getting it to run? I had it working previously, but now that I tried it again it just fails to launch (on Solus Linux with the latest Nvidia beta drivers). Julius Anyone else having trouble getting it to run? I had it working previously, but now that I tried it again it just fails to launch (on Solus Linux with the latest Nvidia beta drivers). Rooster Racing platformers have been around for a while, never heard of Trackmania or Stunts? Nope. That is, I'm sure I've heard the name “Trackmania” somewhere, but didn't know anything about it.